I have two more pages in progress for my Ledger. 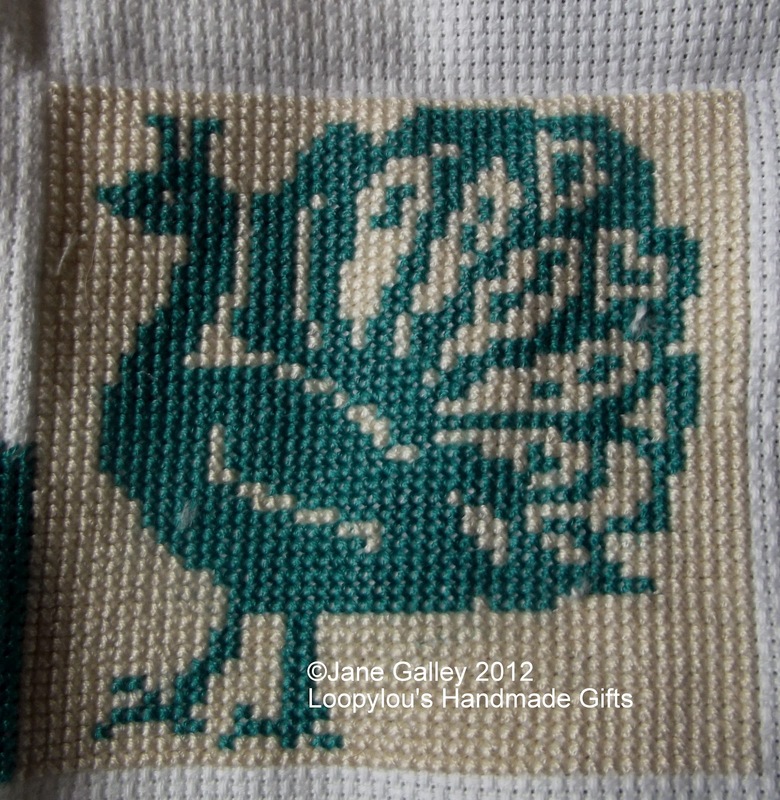 The first began with a cross stitch project I'm doing as a gift for a friend. 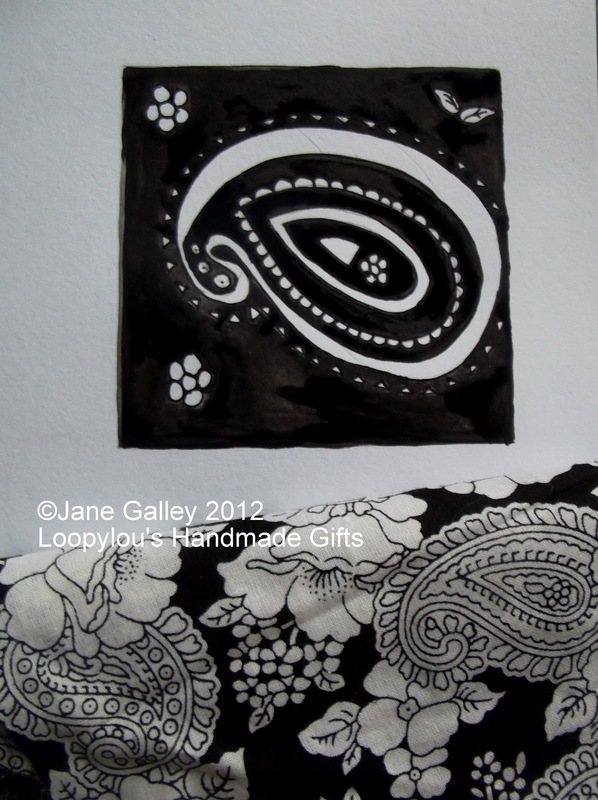 We were to look for simple shapes in different things for a page and I started looking at the shapes in this stitching. This then reminded me of the picture of how peacocks "see", the colours are not what we see. The peacock feathers I painted reflected the colours that peacocks see, combined with some we see. 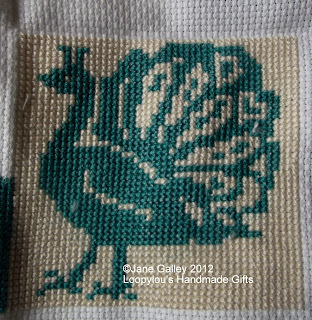 There is stitching to be added to this page, but it's damp stretching at the moment. 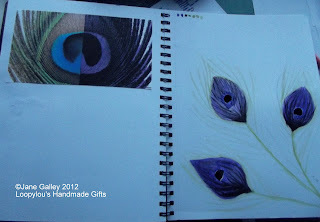 As I used the peacock on the other page, I had to find something for my simple shapes page. 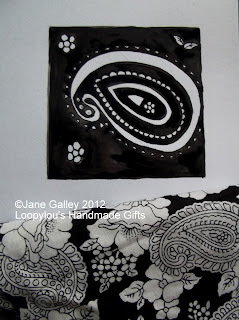 I used the black and white fabric as my inspiration. I need to add swatches to this page, but of course, I had to wait for paint to dry. Jane, I love this page! Of course anyone who knows me knows that I love peacocks! 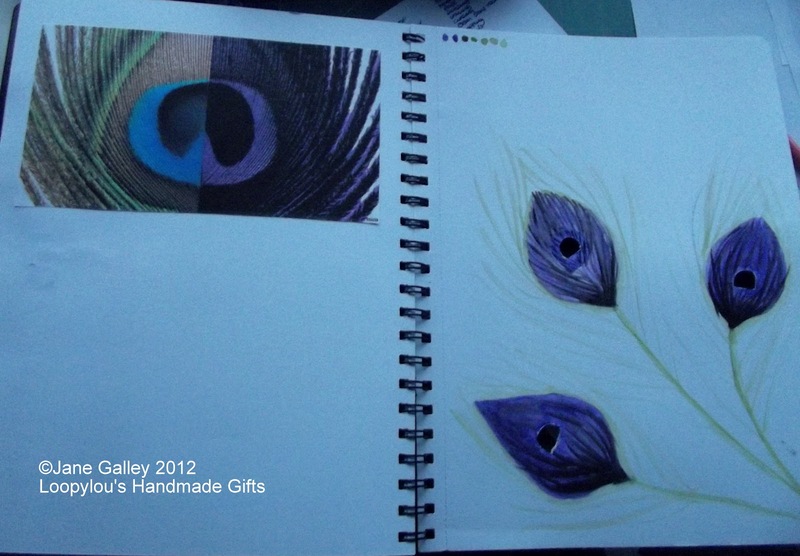 Your page is just lovely and I really like how you created your feathers to reflect what a peacock actually sees. Great job. The peacocks and paisley go well together. The cross stitch peacock is adorable and I'm also intrigued by just how different each of these ledger pages are. You have so many wonderful ideas and I'm enjoying seeing them come to life.